Um… what is going on here? 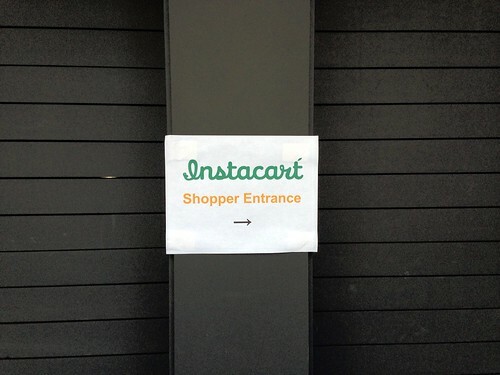 Even I don’t use Instacart enough to have a special entrance just for my grocery delivery guy — and I’m about as lazy as it gets. What next? Special Lyft-only parking? Laundry just for AirBnB guests? A credit card that only works with Kickstarter?